Lockscreens are not really designed for much productivity. After all, it is something which is to prevent unwanted or unauthorized access to your phone. Even if you don't set a PIN or a Fingerprint pattern lock, it is still there just so that something is not launched on your phone while it is lying in your pocket or purse. However, what if I told you that a carefully designed application can replace your default lockscreen with something more interesting and productive at the same time? 91 Lockscreen - DIY and Wallpaper is like a productivity app that seeks to make your lockscreen your home to most used features of the phone rather than your homescreen. Right from accessing your frequently used app after unlocking the screen, to using utility apps like Calculator and Torch, to launching the camera to take a snap in an instant or the simple task of switching to Airplane mode or battery saver mode; 91 Lockscreen provides all that along with giving you huge option of beautiful templates and wallpapers. It can be downloaded from https://play.google.com/store/apps/details?id=com.flkeyguard.lockscreen&hl=en. Though most Android phones after Gingerbread are supported, there are a few smartphones on which 91 Locker is not supported. You will be able to see this on the Google Play download page itself provided above. After installation you will be provided a few tutorial pages to know the complete extent of features of 91 Locker. It is easy enough to understand the working on this app. 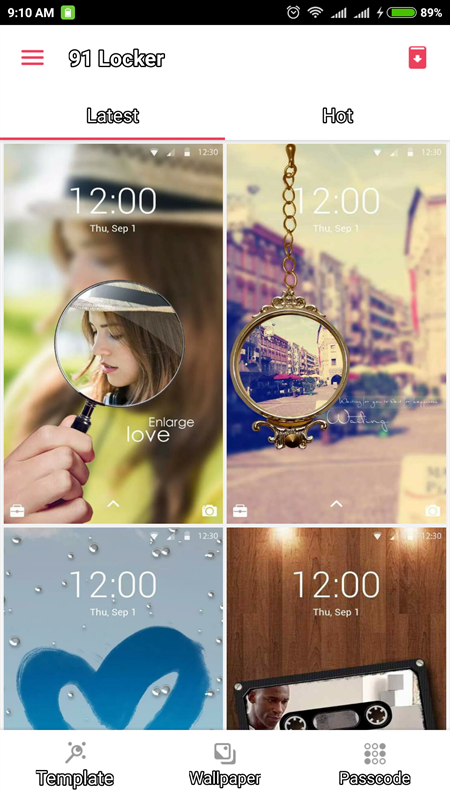 DIY lockscreen templates - There are huge number of templates that you can customize by putting photos of yourself or your loved one. These templates are then used as your lockscreen wallpapers. 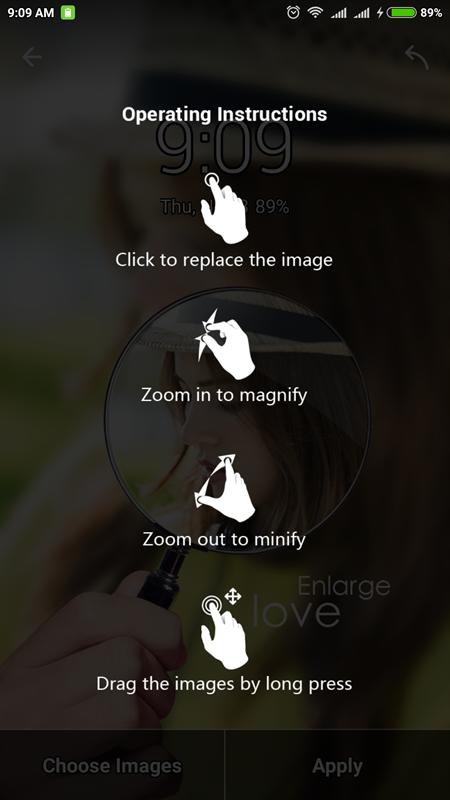 It just takes a few seconds to do all this and customize your lockscreen wallpaper. HD Lockscreen Wallpaper gallery - If you don't want a custom wallpaper for your lockscreen you can select something from the 5000+ HD wallpapers to be your lockscreen.You have a wide niche to choose from too - Vehicles, Travel, Nature, Sport, etc. Security through unique passcode - With 91 Locker you get customized passcode interfaces with best match between the passcodes and templates. 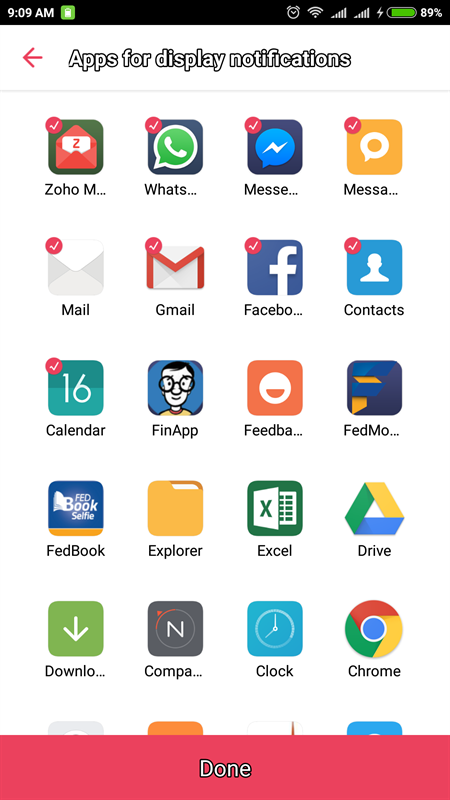 This provides your app and data a unique form of security. Fingerprint lock - For phones which support fingerprint scanning, Android 6.0 and later, 91 Locker supports this form of security too. In these phones you can play music directly from the lockscreen on 91 Locker using services like (JOOX Music、Tube MP3、FreemusicSoundCloud、Palco MP3、Samsung Music). Swipe in each direction opens a new menu list or app with 91 Locker. Swipe the lockscreen from left edge to right and you can see the local news, swipe in the other direction and you launch the camera app. Swipe downwards you get the universal search menu and swipe upwards to access some useful handy tools like the Calculator, Torch and the quick menu options like Airplane mode, Vibration, Bluetooth and Wifi. The library of templates and wallpapers is being continuously expanded with contribution from different designers so as to get a lot of variety for its users of varied tastes. Expect much more DIY elements, support, HD wallpapers and increase in productivity in the future versions of this app. Very nice information for this sites.Thank for share.